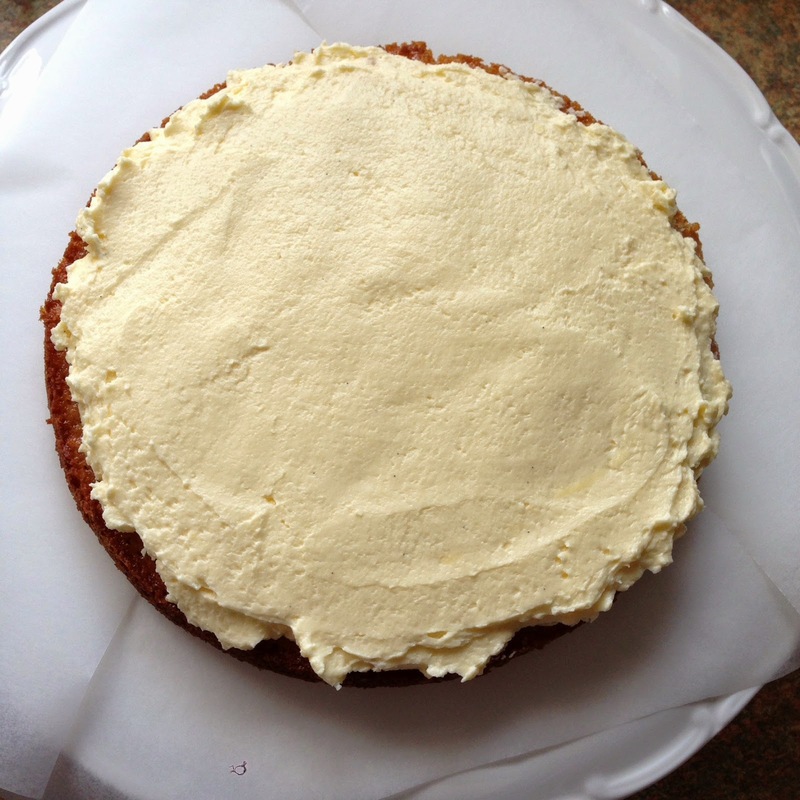 So, now that I had the flavourings, I had to make a cake around them. This was never going to be a chore considering that it combined two of my favourite flavours, but I wasn't finished. 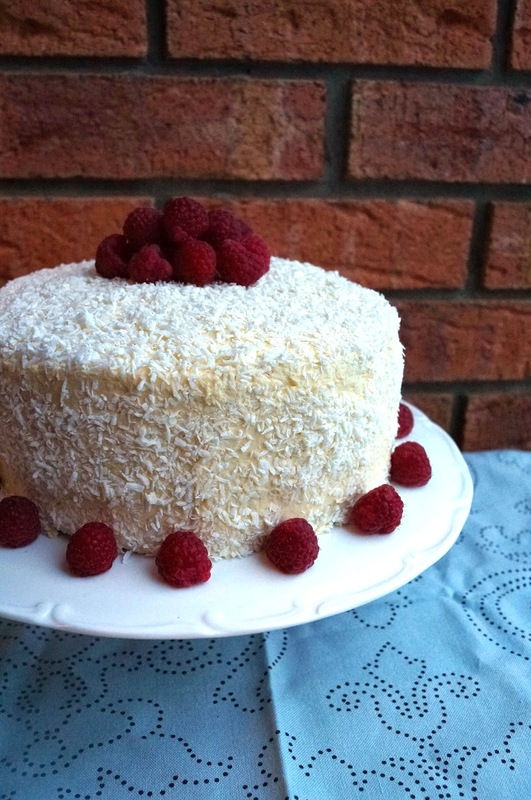 I added thawed raspberries (fresh ones aren't in season in November) to the cake batter and coated the coconut flavoured swiss meringue buttercream with a liberal sprinkling of dessicated coconut. 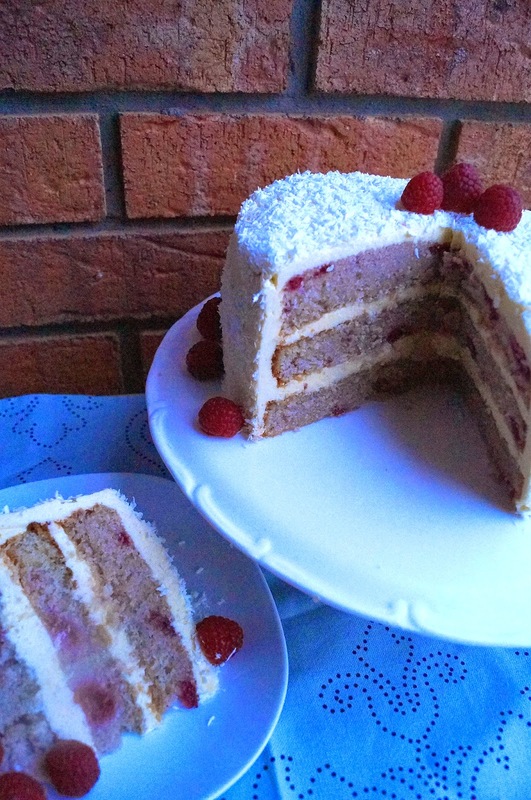 You could toast the coconut in a dry pan for extra flavour, but I wanted a fluffy white cloud of a cake that had juicy raspberries hiding inside. This cake was an instant hit. We had a piece each just after it was photographed and I was instructed to bring some into work the next day for breakfast as "it's definitely one of our five a day". Mammy in Law got a healthy chunk, Mammy Dearest didn't (being a Type 2 Diabetic, I was only thinking of her blood sugar...) and Little Sister got the rest. I hear that she didn't share much of her cake either. Greedy gits, the lot of them. Grease and line 3 x 8 inch (20cm) loose bottomed cake tins and preheat your oven to 180c/ Gas Mark 4. In your food mixer, beat the butter, sugar, raspberry and vanilla extracts together until light and fluffy - this takes about 3-4 minutes. In a separate bowl, whisk together the milk, egg whites, egg and creme fraiche until smooth. Pour into the butter sugar mixture and beat for about 90 seconds until well combined. The mixture will look really strange at this stage, almost as if it has split. Don't worry, all is well. Now sift in the flour, cornflour, baking powder and salt. 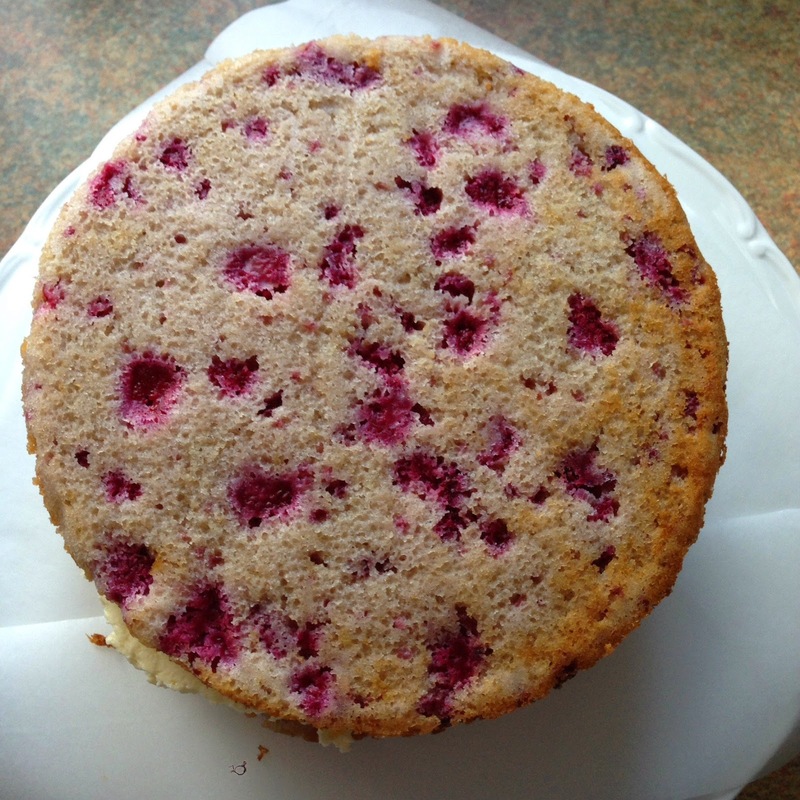 Mix gently until all the flour has been incorporated, then fold in the raspberries. The mixture still looks grainy but it's fine, I promise! Divide the mixture between the three cake tins and level out. Bake for 30-35 minutes or until a skewer comes out clean. Allow to cool in the tins for 10 minutes before turning out onto wire racks to cool fully. I used my favourite Swiss Meringue Buttercream to ice this triple layer cake - I added about 1.5ml of Coconut extract to flavour it along with the vanilla and it gave the icing a really great depth of flavour without being overpowering. I then coated the cake in dessicated coconut for lots of texture and extra flavour.